The powerful Netgear r7000 dual band AC Wireless Router is one of the fastest wireless routers on the market for your home network. A unique feature specific to the r7000 model allows for custom firmware flash to allow advanced configuration and improved interface of the current built-in features the default Netgear operating system offers. 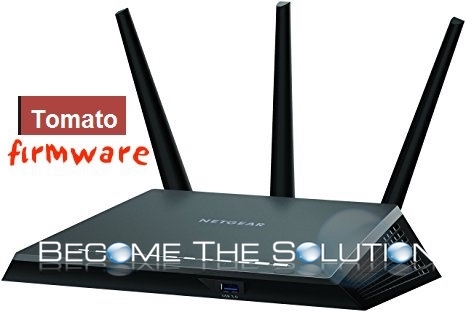 In this guide, we will flash our Netgear r7000 with the Tomato custom firmware step-by-step below. 1x Netgear Nighthawk AC1900 Router (R7000) order here. 1. Get your Netgear r7000 router unboxed and powered on. After plugging your router into a power source, make sure the power switch on the back of the router is on. 2. Ensure the router is using its default configuration. To be safe, reset the router. On the back of the router is reset button. Using a pen head, press and hold the reset button until the power light flashes on and off orange then release. The router will boot to default values. 3. Plug an Ethernet cable from one of the routers 4 ports to your desktop computer. Login to the router using a web browser, such as Google Chrome with the information below. 4. You can advance past the router’s default configuration screens. Choose I want to configure the Internet connection myself. 6. Choose Browse then select tomato-R7000-1.28.AT-ARM-3.4-138-initial-64K.chk file. Click Upload. 9. 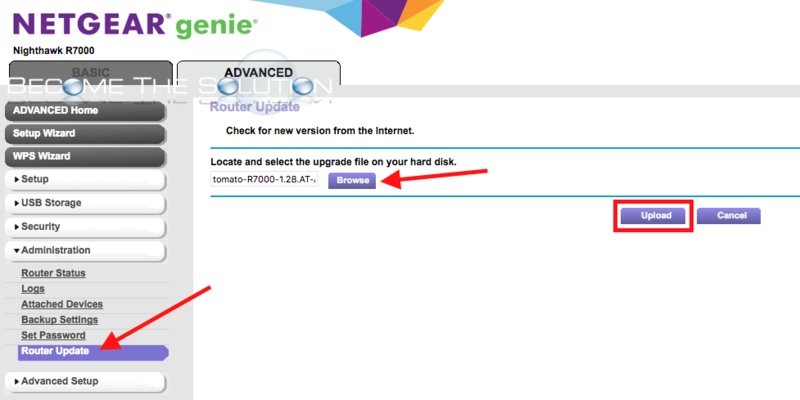 Click Browse and select the file tomato-R7000-AT-ARM-3.4-138-AIO-64K.trx. Click Upgrade. You will see a message linux: CRC OK – Image successfully flashed…Rebooting please wait. 10. Now, let’s flush out the router NVRAM. 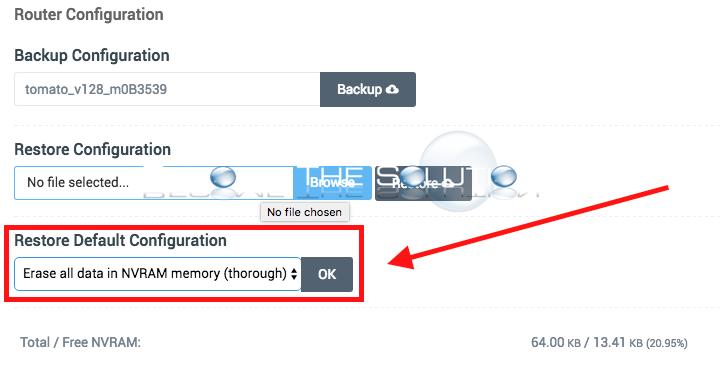 Go to Administration -> Configuration and choose Erase all data in NVRAM memory (thorough). Once the router reboots, you may find you can no longer login via the backend. It seems Tomato changes the password if you did not change the default password. Use the following username and password to log back in: admin / admin. If that does not work, try the others from the list below. I'm getting the same error as well. Think the newer model of the router is not compatible with the older firmware versions. Maybe we need to wait for a newer version of the Tomato firmware. I'm getting the same error as well. Think the newer model of the router is not compatible with the older firmware versions. Maybe we need to wait for a newer version of the Tomato firmware. Will this work on the Netgear Nighthawk R7000P? Why: You might be having an issue with a Citrix driver (Clipboard).